If you or someone you know is experiencing a mental health-related crisis call this toll-free 24hr Hotline: 1-800-981-HELP (4357) for the Emergency Services Program, which in Boston is called BEST (Boston Emergency Services Team). Welcome to the Department of Psychiatry. Our comprehensive model of healthcare combines compassionate care with state-of-the-art treatment. Boston Medical’s department of Psychiatry Adult Behavioral Health Clinic provides outpatient treatment for a full range of mental health conditions including depression, anxiety, post-traumatic issues, bipolar, psychosis and more. The clinic provides individual therapy, group therapy and medication management. The outpatient clinic is staffed by a multidisciplinary team including psychiatrists, nurse practitioners, social workers, and psychologists. The Substance Use Program in Psychiatry on Recovery and Treatment (SUPPORT) clinic provides expert treatment for patients with co-occurring addiction and mental health needs. Read more about the SUPPORT clinic. If you would like to make an appointment with the Adult Behavioral Health Clinic, call 617.414.4238. Boston Medical Center’s Child and Adolescent Psychiatry Behavioral Health Clinic provides comprehensive mental health assessment and treatment to children and adolescents in an outpatient setting, as well as consultation with pediatric practitioners in inpatient, outpatient and emergency settings. The clinic is also available to provide expertise and knowledge for schools, courts and child-serving agencies. Learn more about Child and Adolescent Psychiatry services. If you would like to make an appointment in Child and Adolescent Psychiatry, call 614.414.4561. 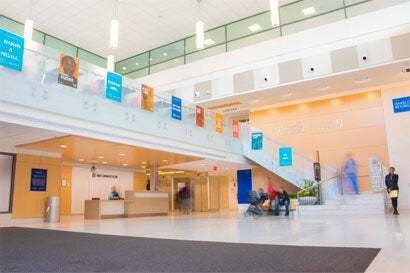 In addition to these outpatient services, the Psychiatry Department provides consultation for patients with psychiatric symptoms in the medical, pediatric and surgical units of BMC as well as psychiatric care in the Emergency Department. The Department of Psychiatry also provides a community based behavioral Emergency Services Program (ESP) for the Boston area, Southeast Massachusetts, the Cape, and the Islands, and offer spaces for ongoing peer support in the Recovery Learning Community. The clinic also provides training opportunities for medical students, residents, fellows, social workers, and nurse practitioners. Learn more about the educational programs. Learn more about the exciting research being conducted, both locally and globally.